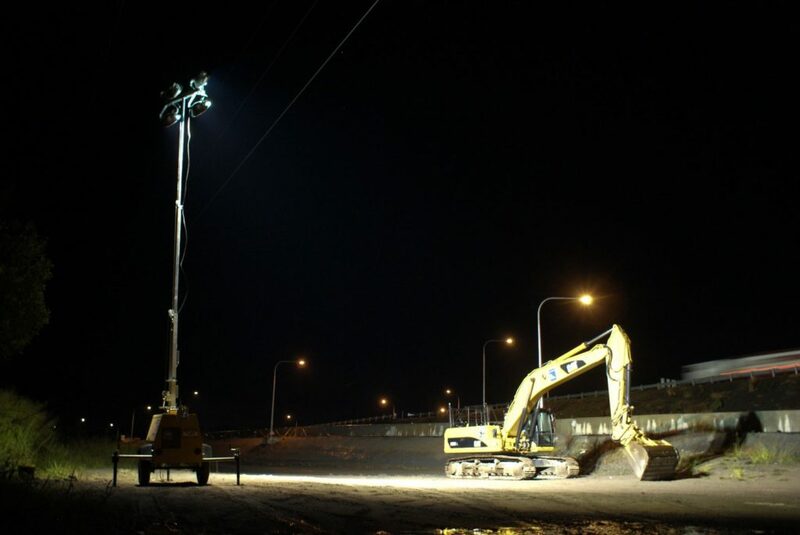 Whether it is required on a building site, quarry, road works or just night work requirements, the Metrolite promises to perform with continuous bright light, every time. The Metrolite promises to perform with exceptional light quality, every time. Designed to deliver maximum user-friendly operations, easy deployment, versatility and manoeuvrability, the Metrolite simply requires a single operator – allowing you to efficiently utilise your workforce in other areas. Our ideal all-purpose lighting tower series, for assisting on building sites, quarry, road works and night work requirements. Designed to be user-friendly, versatile and manoeuvrable, the Metrolite mobile lighting tower requires only a single operator – allowing you to focus your workforce where they are really needed. Quick and easy setup – vertical tower rises to full extension from its lowered position. Brilliant light precisely where you need it – intuitive lamp set up ensures lamps to retain the same angle and direction as the tower extends. Reliable, bright light on all terrain – the SHO-HD lamp fixture with standard lamp produces a minimum of 110,000 lumens per lamp. Light adjusted at ground level and remain in the chosen position as the tower is extended. A 75mm square tube drawbar provides maximum turning radius and is also removable for service or replacement. One of the tie-down points on the trailer is also a part of the drawbar. The tie-down loop allows the trailer to be secured with chains or straps when loaded on a truck for transport to a remote work site. The “gull-wing” style enclosure door panels on the Metrolite V series are molded from PDCPD poly and allow full access to all major service points. The doors are break-resistant, will not rust or dent and feature an automotive-style push-button latch to easily open, or securely close and lock, the doors. The doors are held open by a positive latch system that automatically locks both sides of the door when it is opened, and yet is easily released to close the door. Routine maintenance and service components (dipstick, oil filler, oil filter, air filter, fuel filter, fuel pump, etc.) are all readily accessible through the large “gull-wing” style door openings on either side of the enclosure. The pins that hold the outriggers in place when extended or in the travel position, are integral to the trailer and, unlike the spring clip “safety pins” used on many other light towers, cannot be readily lost or damaged. 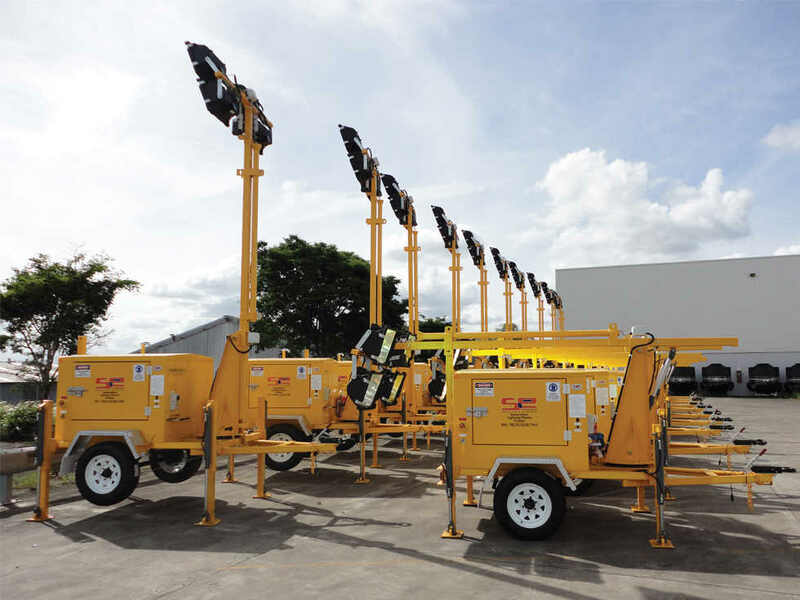 View our full range of Mobile Lighting Towers available from our MegaLED, Midnitelite and Midnitelite Skid series, or see the latest in our Latest News. Click Here to contact the Eneraque mobile lighting tower experts today or call us on 1800 636 744. 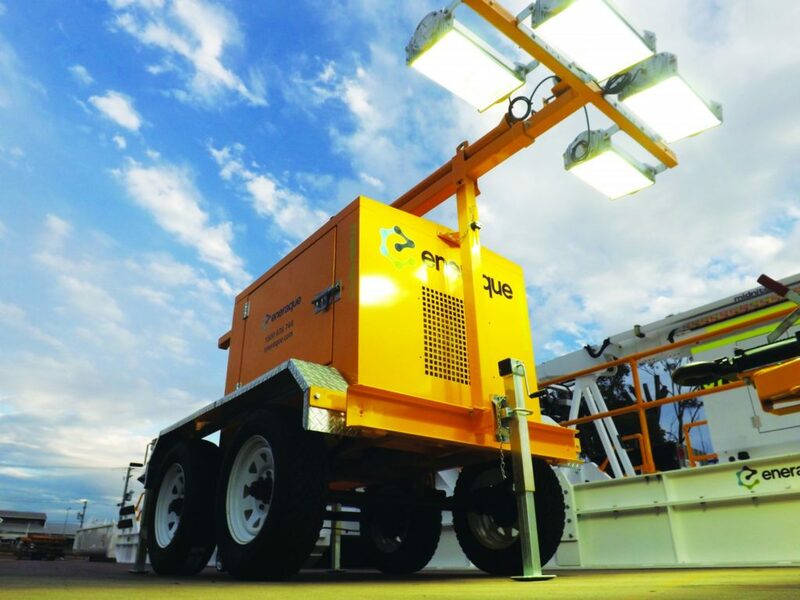 The L Series – Features a lay-down lighting tower offering convenient transportation and storage. 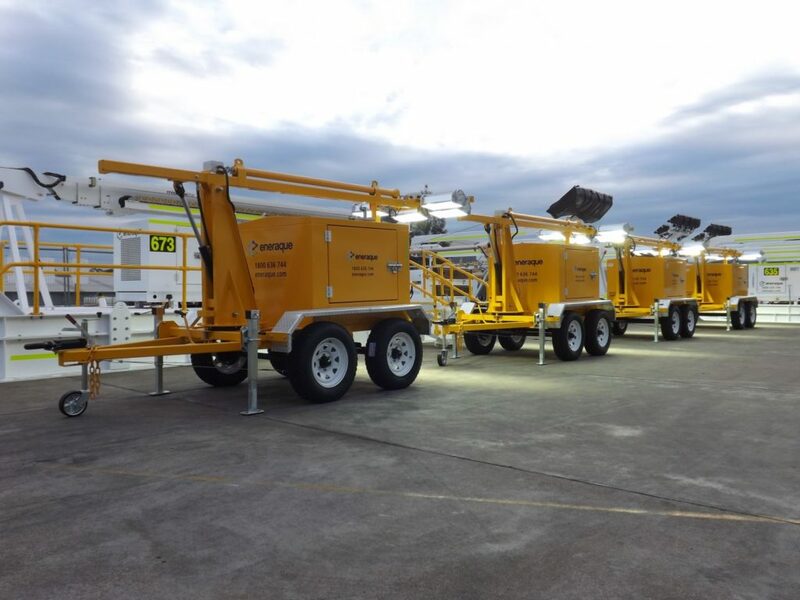 As an Australian designed and assembled lighting tower it offers a galvanised canopy and tower while producing bright reliable light for your site. The V Series – Offers a vertical tower allowing a quick and easy setup rising to full extension from it’s lowered position. Intuitive lamp setup ensures lamps retain the same angle and direction as the tower extends. As the lights are adjusted at ground level, they will remain in a chosen position as the tower extends.